But here in Orange County, we can go one better as we are lucky enough to be able to experience the live action version of the hilarious tale of Buddy the Elf’s journey to New York to discover his true identity at its exclusive premiere at Segerstrom Center for the Arts. 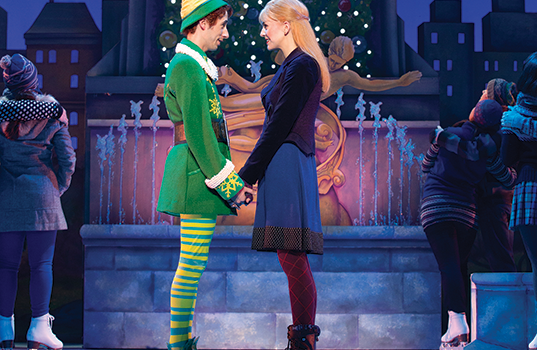 The Segerstrom Center production of ELF The Musical features songs by Tony Award® winning nominees Matthew Sklar and Chad Beguelin (The Wedding Singer), with a book created by Tony Award winners Thomas Meehan (Annie, The Producers, Hairspray), and Bob Martin (The Drowsy Chaperone). 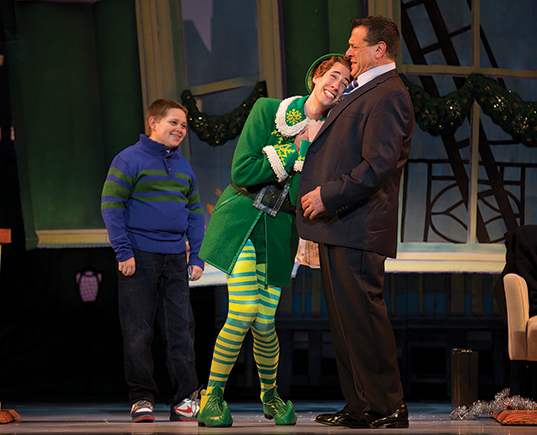 The production will feature direction by Sam Scalamoni and choreography by Connor Gallagher – bringing Buddy’s endless charm, innocence and magical holiday cheer to audiences young and old. 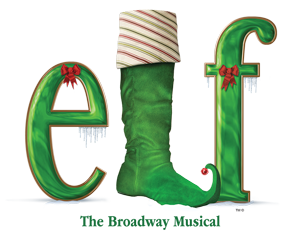 Tickets to ELF The Musical start at $29 and are available online at SCFTA.org, by calling (714) 556-2787 and at the Box Office at 600 Town Center Drive in Costa Mesa. For inquiries about group ticket savings for 10 or more, please call the Group Services office at (714) 755-0236. Segerstrom Center presents a broad range of programming each season for audiences of all ages, including international ballet and dance, national tours of top Broadway show, intimate performances of jazz and cabaret, contemporary artists, classical music performed by renowned chamber orchestras and ensembles, free performances open to the public from outdoor movie screenings to dancing on the plaza and many other special events. Visit scfta.org to find out more. Misty Copeland and Herman Cornejo will lead the opening night cast of The Nutcracker roles of Clara, the Princess and Nutcracker, the Prince, respectively. Subsequent casts include Hee Seo and Cory Stearns, Gillian Murphy and James Whiteside, Isabella Boylston and Jeffrey Cirio, Stella Abrera and Alexandre Hammoudi, and Sarah Lane and Joseph Gorak in the leading roles. 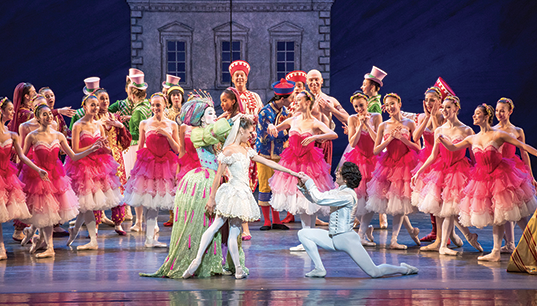 The engagement of The Nutcracker continues an on-going relationship between Segerstrom Center and American Ballet Theatre. The Company has appeared at the Center since the beginning in 1987. At the Center, ABT gave the world premiere of Mikhail Baryshnikov’s Swan Lake in 1988, the West Coast premiere of Kevin McKenzie’s new production of The Sleeping Beauty in 2007 and the world premiere of a new production of Firebird by Alexei Ratmansky in 2012. In 2008, the Center and ABT cocommissioned Twyla Tharp’s Rabbit and Rogue, receiving its world premiere in New York and West Coast premiere at the Center. In 1999, ABT’s production of Le Corsaire was taped in Segerstrom Hall for broadcast on PBS’ Dance In America, winning an Emmy Award. In 2003, The Dream was also taped at the Center for broadcast on Dance In America. In March 2015, Segerstrom Center presented the world premiere of ABT’s new production of The Sleeping Beauty as choreographed by Maurius Petipa with staging and additional choreography by Artist in Residence Alexei Ratmansky. In March of 2017, American Ballet Theatre will return to the Center with the world premiere of its new production, Whipped Cream, choreographed by ABT Artist in Residence Alexei Ratmansky, with sets and costumes by pop-surrealist Mark Ryden. • A special holiday sweet treat.